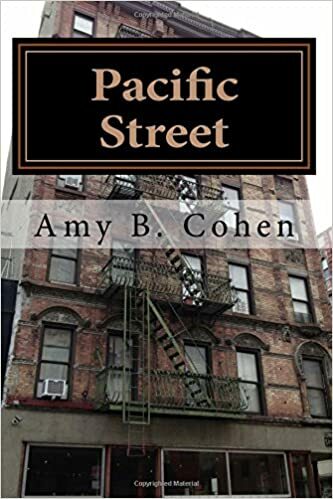 This entry was posted in atlantic city, Genealogy, Goldschmidt/Goldsmith, Pennsylvania, Philadelphia and tagged Goldsmith, Pennsylvania, Philadelphia by Amy. Bookmark the permalink. 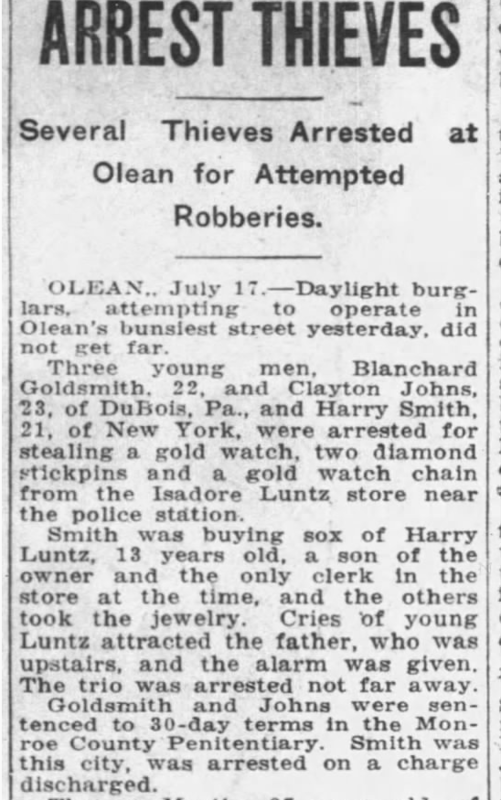 Robbing a jewelry store right next to a police station is stupid and foolhardy. Perhaps Blanchard Goldsmith and his partners in crime did not realize that the young clerk was not alone and that his father was upstairs to take immediate action. A good thing that the robbery was not successful and Blanchard learned his lesson. Looking forward to the next post. Have a great weekend, Amy! The foolishness of youth! Yes, he seemed to straighten out after that experience. You have a great weekend also, Peter. This was a great interesting post. The Jay Leno video was hilarious. This certainly wasn’t one of Blanchard’s brightest moments. I seem to remember that Leo isn’t the only musician/orchestra ancestor’s in your family. Am I wrong? Leonard and Florence’s short marriage certainly raises an eye brow and requires a hmmmmmm. Yes, there have been a number of musicians, but not in the Goldsmith branch. And I think I wasn’t clear—Leonard and Florence were married for a long time. What wasn’t clear was WHEN they married because of the confusing census records. Thanks, Sharon! Amy, Might Leonard and Florence have married between April 2nd and the dates the census taker came around? Directions that year were to collect info on families as of April 1st. Ah, that makes sense! 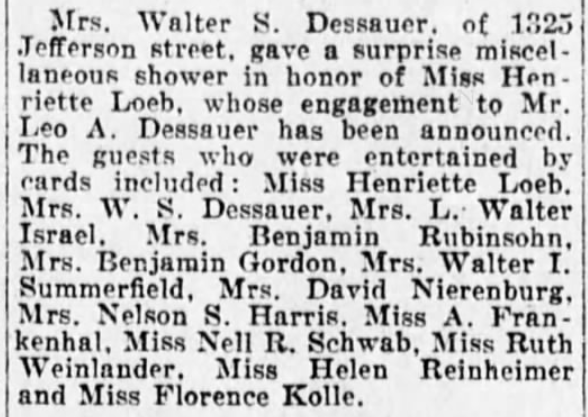 So the Mayers included Florence because as of April 1, she might still have been living at home (but listed her as Loeb because that was then her name). And the Loebs might have included Leonard for the same reason, but gave his marital status as of April 1, when he was still single. Thank you! I also checked FamilySearch to see if they might have the collection of actual marriage licenses. The collection Pennsylvania, Philadelphia Marriage Records for the period 1885-1915 is scheduled to become available at FS – no date mentioned. Of course, this is too early for the 1930 marriage you are needing. It would seem they married after April 1st but before the 16th. Whoever gave the information for the Mayer household may have been just as confused as the enumerator. The marital status has been written over for all four persons. 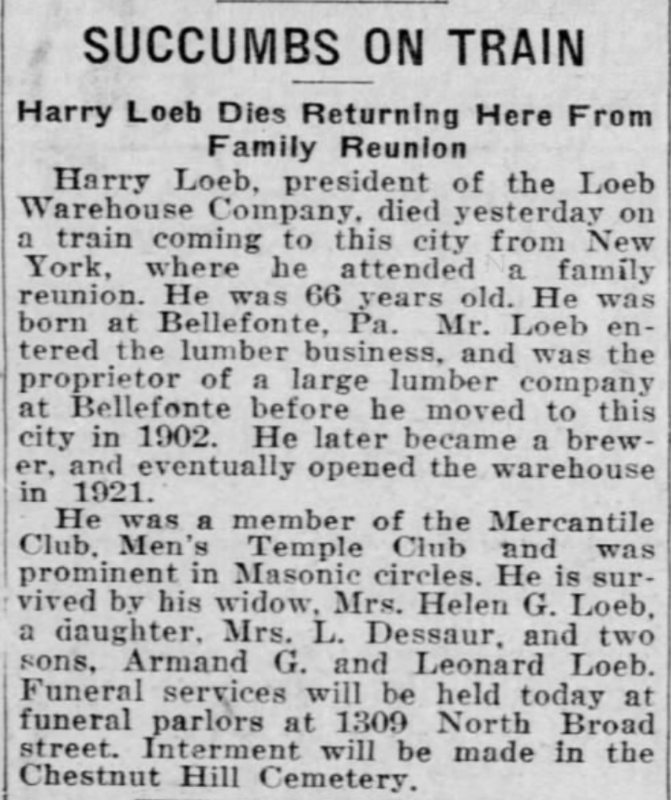 How are we to know if the lines under the surname Mayer for the three persons following the head of household were drawn before or after Florence and her brother’s surnames were written in? I am so grateful that you and Linda pointed this out because I never knew it, even after all these years of researching and using census records. I am used to taking census records with a grain of salt, but knowing that this is how they were instructed to answer really sheds new light on these records. Was this true just for 1930? Thank you! For all years there is a date and for different years there were different instructions. If you scroll down below the source information for a census listing (indexed view on Ancestry) you will see the instructions for the census. You’re welcome. Indeed; the foolishness of youth…and “daylight burglars” to boot. Exactly. Reminds me of a true story that occurred several years ago in a town where we used to live. A woman decided to rob a bank, ahem, HER own bank, in the town where she lived. She “got away” with some cash so proceeded to drive home…where the police found and arrested her. Not the brightest bulb in the pack. LOL! She could have been on Jay Leno also! My great grandmother died on a train, too. Apparently the conductor wanted to stop the train and let them off (my grandparents were with her) but my grandfather convinced them to wait until they got to the next town. Oh, that’s terrible. He must have always wondered if he made a mistake.